I have described on this website a number of VHF/UHF antennae which have become known as the Flower Pot antennae. 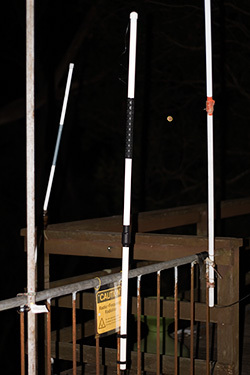 This material is a summary of six articles on the “Flower Pot Antenna” published in March and April 1993, March, April and November 2002 and, December 2006 in QUA – The Newsletter of the Hornsby and Districts Amateur Radio Club Inc (HADARC). What Makes a Good Antenna Project? Easy to replicate the design and obtain the stated performance. Accommodates wide tolerances – dimensions not overly critical – you can use a tape measure rather than a micrometer. Robust to its electrical environment – not easily detuned by nearby objects. No gimmicks to make it work. Will provide long service – not susceptible to UV degradation, moisture ingress and corrosion effects, etc. Solid State Output Safe (although the modern rigs these days are very rugged).